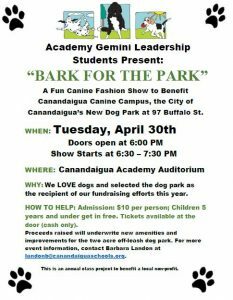 Friends of Canandaigua Canine Campus is a volunteer group founded in 2013 to advocate for a dog park in Canandaigua. We partnered with the City of Canandaigua and provided in-kind professional resources and services, well-researched input into park design and operation plus raised money for park construction costs. Thanks also to City and Town funding, Canandaigua Canine Campus (CCC) opened on November 21, 2018. CCC is a city-owned, managed and maintained membership dog park located at 97 Buffalo Street. More amenities (such as water features, benches and paving) will be added later in 2019. We are proud of our efforts and this hard-won accomplishment! 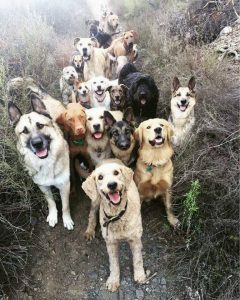 Please navigate this website to find out how to register to use the park or make a donation for future amenities and improvements, learn about the park’s history and dog park facts, to join our group, check recent news, and more. FINALLY! CANANDAIGUA CANINE CAMPUS (a.k.a. “Dukie’s Dog Park”) OPENS! Raising a Glass, Raising Cash! CHEERS TO THE DOG PARK! A Secret Dog Park Admirer Donates $25,000! Paws Almost to the Finish Line! LAST LICKS for Going to the Dogs! Going to the Dogs! It’s Happening!